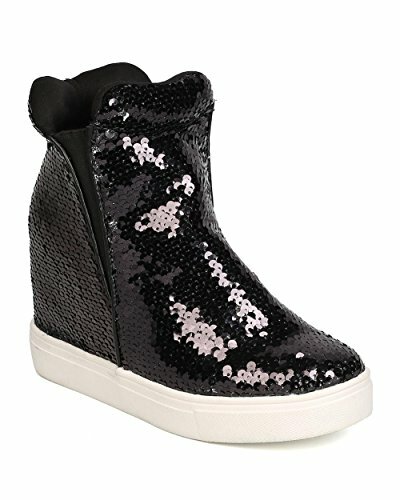 These sequinned sneakers are made with a round toe, elastic side gussets, and hidden wedge heel. Also made with a rubber outsole, and easy to pull on design. Measurement (tested sz 6; approx. ): Heel: 3.5", RUNS LARGE, please consider ordering a half size smaller, Brand new with original or Alrisco shoe box.